After seeing today's title, you might wonder what I am going to write on this simple recipe. The post is mainly to showcase the health benefits of an simple ingredient which readily available at every Indian household. It is good to consume daily or whenever required. We have been preparing this Cumin water from the day when I was a child. My mom prepares it mostly when we travel a lot for more than 3 days for any functions or going for tours. Without knowing for what purpose she gave it to us, me and my sis simply consumed it those days. But only after I had grown up, I came to know about its health benefits. I have listed out few health benefits below up to my knowledge. If you know more about this healthy drink, please share it with me. 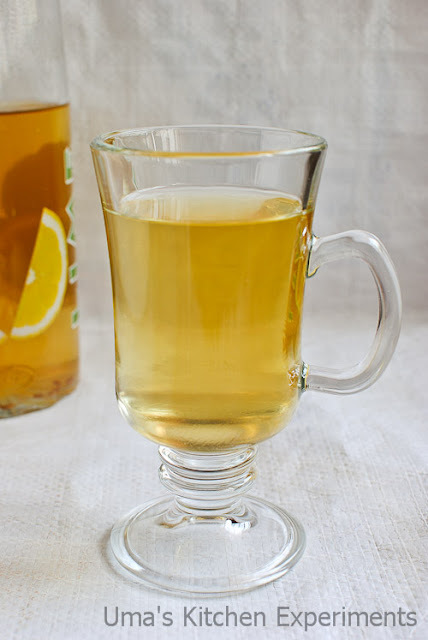 1) Improves Digestion and Metabolism. 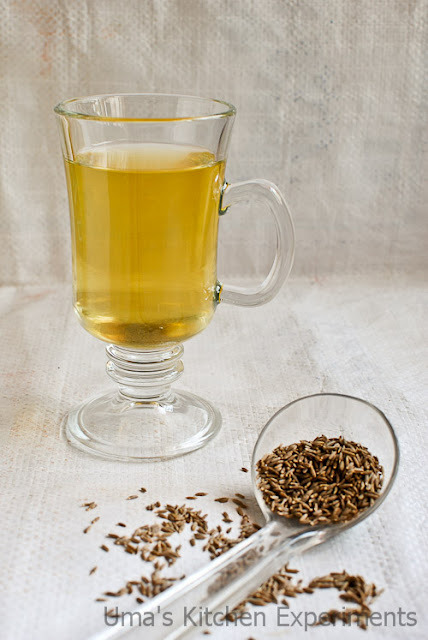 2) Cures Digestive Disorders - This can be achieved by drinking warm cumin water. 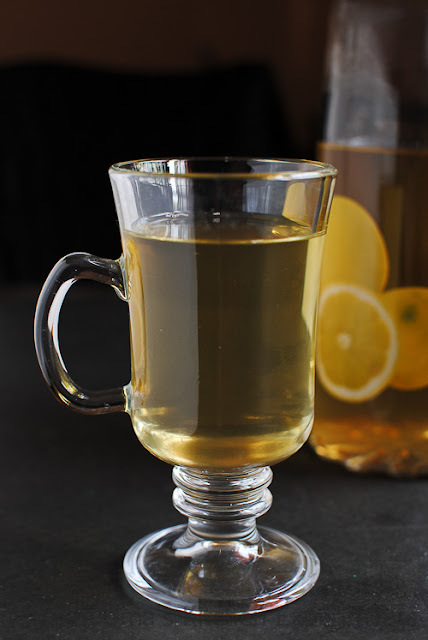 It also helps in vanishing the stomach aches and reduces acidity. 3) Due its rich iron content, It helps to increase the red blood cell formation. 4) Increase the immunity power. 5) It helps to reduce the abdominal gas and increase the appetite. 6) Helps in liver functioning. 7) Helps to provide glowing skin. 8) Increase the lactation for the feeding mothers. 9) Aids in common cold and Sinus. 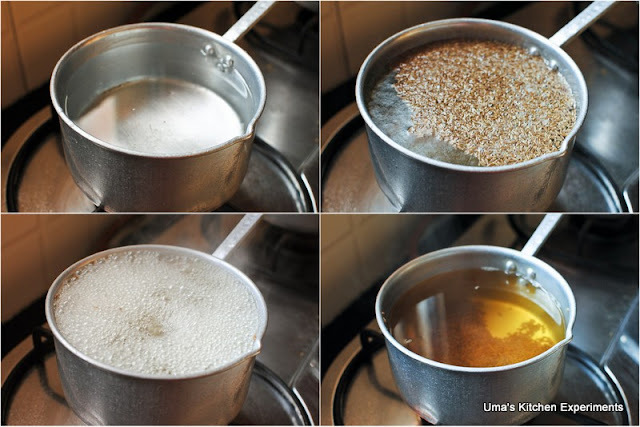 10) Improves kidney function and discharge of urine. 11) Regulates the menstrual cycle in women. 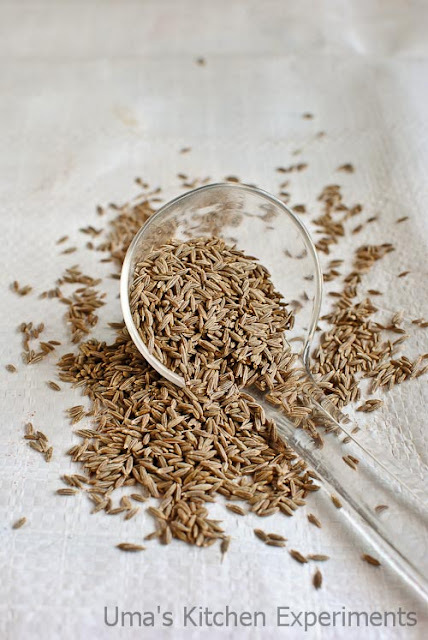 You can also dry roast the cumin seeds and then add it to the water. As it slightly gives smoky flavor, I always prepare cumin water without roasting the cumin seeds. Try to drink the cumin water on the same day it is prepared. 1) In a clean sauce pan, heat 1 liter of drinking water. 3) Allow the water to boil for 10-15 minutes in a rolling boil. 4) When the water reduces approximately 3/4th in its quantity, turn the flame off and allow it cool for a while. 5) Filter to remove the cumin seeds from the water. 6) Transfer filtered water to a jug and drink whenever required. Best to drink when it is warm. Correct Jeyashrisuresh. 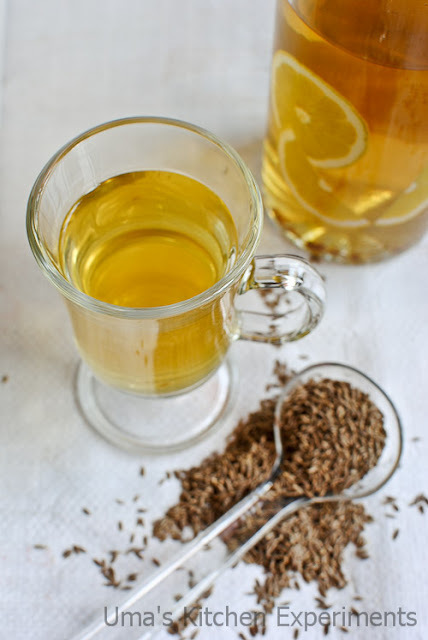 But for the false labor pain, we use Jeera kashayam which is slightly differs from this cumin water.I will be posting soon the recipe of it. beautiful clicks! I drink carom seeds water usually..
i also add thulsi leaves n karpooravalli leaves to it.. nice clicks..
superb clicks.....i have been drinking jeera water for quite some time without knowing all its benefits except that it improves digestion, thanks for the informative post. My mom makes this water quite often, good for easy digestion..Even now am making often. I know how healthy it is. Very nice post. About your question... yes, pregnant women can have the "Betel Leaf Vadai" but anything in moderation is best.. There is one hotel in our locality called 'Onam'. That hotel used to serve warm cumin water instead of normal water. Now they don't serve. I have one week old baby. Me and my baby has diarrhea pbm.can I try jeera water?? @Rekha Parthi, to my knowledge we can drink cumin water any time. But I would highly recommend to consult a doctor before having it since you have a newborn. Thanks for your nice illustration of your viewpoint about Cumin Water..!! Can you please give a brief about the benefits of Palm crystal ? It also helps to lose weight. For best result, add few drops of lemon to one glass of cumin water. Drink this in an empty stomach and go for a walk. Just 20 mins of walking is enough to see results. Belive it guys, this will work! seeragam water udambirkku kulirchiya??. kaalayil verum vayithula kudikkalama?